Mix and Chic: Home tour- A stylish and eclectic townhouse in Buckhead! Home tour- A stylish and eclectic townhouse in Buckhead! 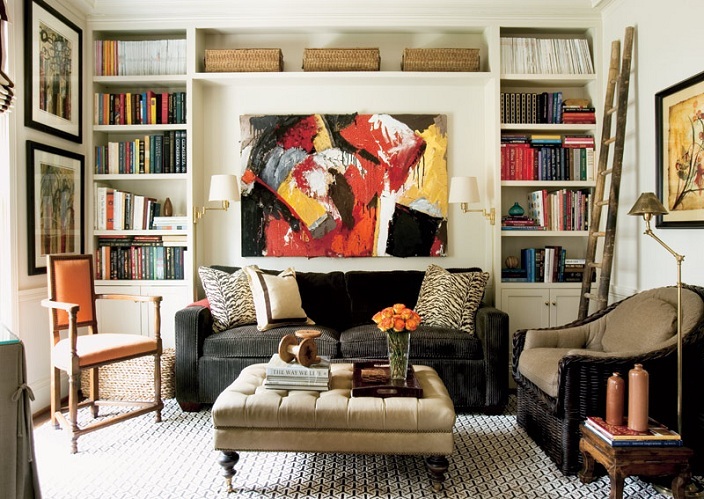 Designer Courtney Giles jazzed up her Buckhead townhouse using pops of colors, graphic elements and contemporary art. Grecian elements and luxury fabrics such as silk and velvet were thrown in for timeless elegance. Let's take a look at her stylish and eclectic home. I really like Courtney's style. It's fresh, timeless and sophisticated at the same time. 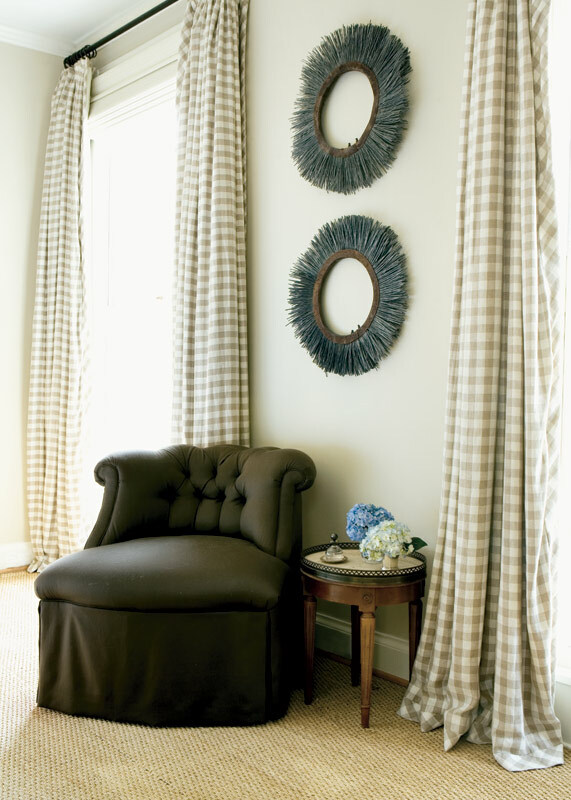 The bold and stylish Greek key pattern on the drapery valance really caught my eye. What about you? Is there anything that catches your eye? The ceiling in the first picture is incredible! Hope you are having a wonderful weekend Jessie! Love the dark walls in the bedroom. Great images. Love her style. The bedroom is gorgeous with all the black and white mix. Gorgeous home! I'm partial to the little dogs, too! The bathroom with the gold sink is gorgeous...I do like the neutral spaces with the pops of turquoise as well as the one with pink/purple...love the contrast. The metallic ceiling in the first pic is fabulous.